and dashboards for your clients. 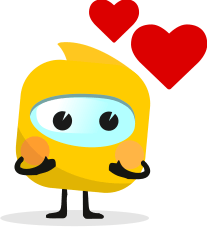 Your productivity will increase exponentially with DashGoo. Don’t waste more time with reports and spreadsheets. Let us do all the heavy work for you. No more late deliveries of monthly or weekly reports. The reports are delivered on the same day and the same time. and keep your customization on the auto reports. Setting up you DashGoo account is very simple and fast. You can connect your AdWords, Google Analytics, Facebook and Bing accounts in a single click and you are done! These accounts data are loaded in real time in your reports. By using DashGoo you can create powerful dashboards quickly. You can highlight KPIs of interest and help your clients focus on the most important data and results. Your clients can get all of their data from a single place. DashGoo is the fastest and painless way of preparing reports. You just have to attach your Google, Facebook and Bing accounts and then we prepare integrated reports right away. You only need to select what kind of report you want and leave the rest to us. Find out everything I can do for you. Press the button and have free access to the site with no obligations, fees or any surprises. Try it for Free Now! No credit card required. With DashGoo you can automate your weekly or monthly AdWords reports by scheduling them to be generated and emailed directly to your customers. Your customers will receive personalized reports that fit their needs. DashGoo helps you to create custom AdWords reports for your customers. It does not matter if the customer is a micro-enterprise, ecommerce or large company, you can create customized reports to suit the particular needs of each one. With DashGoo you do not have to waste time with Excel spreadsheets or AdWords CSV files. All you have to do is to select the report type you want and everything is filled out for you automatically. We provide several templates already set up so you can easily create your reports. Wow! 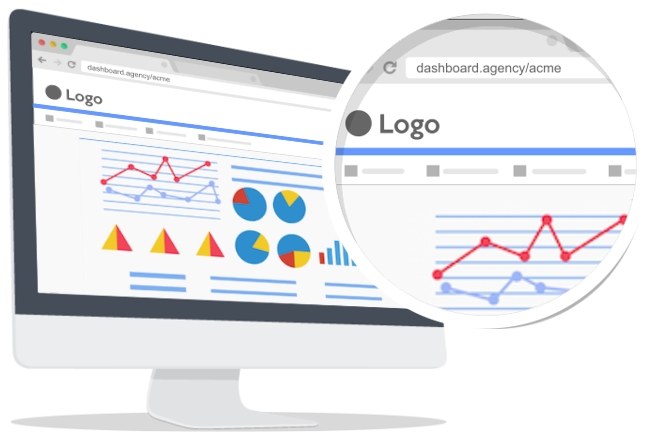 DashGoo will provide you a custom web address (dashboard.agency/yourname) where your clients will have access to see their reports and dashboards online. All the data they need will be just a click away, through a 100% transparent and customized access with their own url and their agency’s logo and colors. That’s awesome! Five minutes you can save hours! Say goodbye to the sea of unorganized data charts..
Customizable panels allow you to focus on your key metrics. Identify the ads performance on Facebook, AdWords and Instagram to evaluate your customers campaigns. Detailed metrics are always available. You don’t have to spend hours collecting data from several sources. – Check all the resources. Exclusive and transparent web address for your agency with access for your clients to their Dashboard (dashboard.agency/yourname). Your logo and/or client’s logo on the reports and dashboards. Report’s templates already set up and ready to use for you to start quickly. Dozens of widgets to build graphics and charts that you need. Scheduling option for you to send reports to the right people on time and automatically. Text widget for you to add your comments and analysis. Reports ready in a few minutes. Your day lasts much longer. Are you ready to put your communication process on autopilot? YES! I WANT TO CREATE MY FREE ACCOUNT No mandatory credit card. DashGoo is a web app that creates incredible reports and dashboards for agencies and freelancers in a few minutes. It was designed to meet most of their needs on report building for Google AdWords, Google Analytics reports, Facebook Report, SEO, SEM, Bing and others.